Documentary filmmaker Allen Oren has taken a traditional Passover story and given it new life. 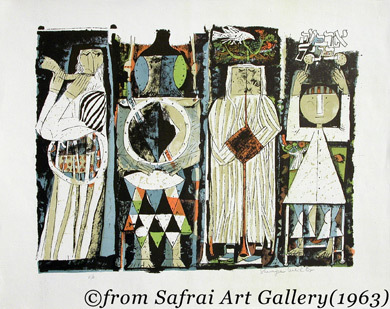 The Four Sons are the focus of one of the most beloved and intriguing tales at the Passover Seder, so much so that the fable has been relentlessly reinterpreted over the centuries—in art, in music, in words—as often as any story ever told. Generations have used it to suggest how to pass on beliefs to their children, a cornerstone of the Seder and really of all faiths. So, join our Seder, including 34 versions of the story, and meet the most special siblings at any Seder—the Four Sons. 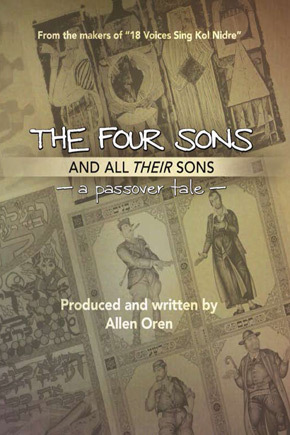 Allen Oren, an Emmy-winning journalist, produced, directed, and wrote ”THE FOUR SONS AND ALL THEIR SONS: A Passover Tale.” His previous documentary was “18 Voices Sing Kol Nidre,” about Judaism’s most sacred prayer, nominated for two Emmys. He is a full-time Journalism professor at Pace University and long-time working journalist, first in print, including a stint as Entertainment Editor of USA TODAY, then in broadcast, winning an Emmy for a series on the history of Madison Square Garden and an Emmy nomination for a documentary on the topic. He was a movie and theater critic on TV and in newspapers in New York, Chicago, Boston, Washington, and Charlotte, and he worked as a magazine journalist for four years in Israel. He is a long-time student of Jewish history and religion.